January 28, 2012  NBC's new drama plumbs the drama behind the curtain. The new series is the story of a Broadway musical — from the first idea, to auditions, rehearsals and the big premiere. The show's creator and executive producer says Smash has a universally appealing theme: the desire to pursue a dream. January 27, 2012  Chuck has never been much more than a blip in terms of ratings. But in a few ways, the story of this little spy comedy that could has been the story of some big changes in television. 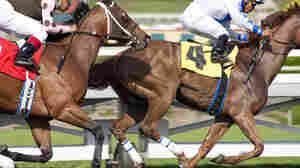 January 27, 2012  HBO's newest series Luck is set in and around the world of horse racing. TV critic David Bianculli says the series, which stars Dustin Hoffman and Nick Nolte, is loaded with thoroughbred talent. January 25, 2012  The new HBO drama Luck examines the inside world of horse racing through the lives of thoroughbred breeders, owners, jockeys and gamblers. Series creator David Milch spent much of his childhood at the track and has struggled in the past with a gambling addiction. January 25, 2012  The new Fox series Touch stars Kiefer Sutherland as the father of an 11-year-old boy with some significant disabilities — and some significant abilities as well. TV critic David Bianculli says by the end of the first episode, you'll know you're watching something a little different. January 23, 2012  American Idol is still very popular. But it's not necessarily the cultural smash that it was in the age of Simon and Paula, and a recent ratings blip is further evidence that it's joining the realm of ordinary hits. January 22, 2012  How do you top last year's mini-Darth Vader Super Bowl ad? Use the Force. And several barking dogs. That's not all it takes for success, though, so one ad agency is breaking from the pack — again. January 19, 2012  Crime novelist Elmore Leonard's work has spawned productions in film and TV. 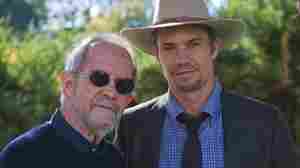 The FX series Justified, now in its third season, is based on one of his short stories. Elmore, the show's executive producer, discusses how he crafts his characters for the page and screen. January 19, 2012  Since 1961, the TV quiz show It's Academic has given smart high-schoolers in the Washington, D.C. area a place to shine. 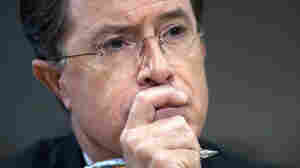 The program is listed as the Guinness Book of World Records' longest-running TV quiz show. Host Mac McGarry stepped down in 2011 after five decades as quizmaster. January 19, 2012  Last night's episode of The Middle featured an awkward, extended bit of product placement. 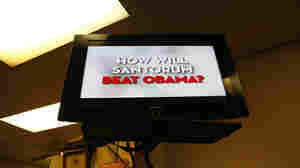 January 18, 2012  Republican candidates are actually spending less money on TV ads than they did four years ago. But outside groups have more than made up the difference. By one analysis, the average viewer in at least one South Carolina market will see political ads 182 times before Saturday's presidential primary.